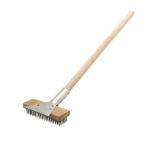 Long handle for reaching into and sweeping out ovens. 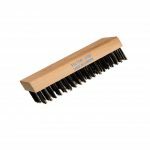 Brass bristles are soft and flexible, but can withstand high temperatures when being used to sweep out food debris and ash. 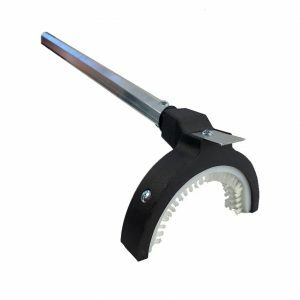 The heavy-duty scraper is for removing tough burnt-on carbon. 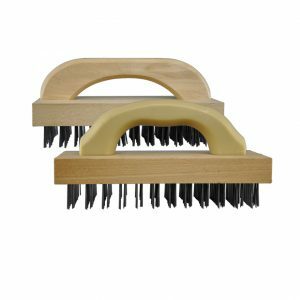 This brush features two different densities of stainless steel wire for versatile cleaning and is made with high grade stainless steel for extended useful life with no wire breakage. Made in Canada with North American stainless steel and a Canadian hardwood handle. The biggest and best pizza oven brush on the market. 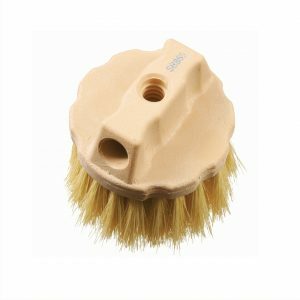 This brush is equipped with more fill than any other brush on the market! 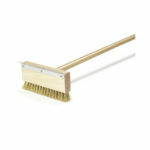 The soft, flexible brass bristles can withstand the highest temperatures when used to sweep out food debris and ash. 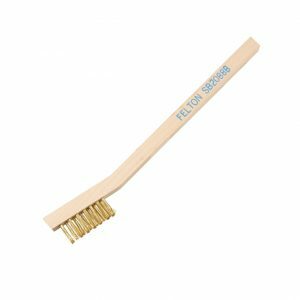 Felton’s heavy-duty pizza oven brush provides long-lasting and double cleaning action with its horizontal scraper. Widest pizza brush on the market at 11″, containing 30% more brass wire fill than leading competitors.